Barn Owl sites outside the breeding season have no statutory protection per se and the presence of Barn Owls (or other protected species) will rarely, if ever, result in the refusal of a planning application for conversion, renovation or demolition. Nevertheless, many traditional agricultural buildings that were at one time readily available to Barn Owls are either falling into dereliction and disrepair or being lost to conversion. We would support the renovation and conversion of such buildings as long as the welfare of the birds is considered. After all, a derelict building that receives no maintenance will only deteriorate further, eventually becoming unsuitable for Barn Owls. Are Barn Owl sites protected by the planning system? At one time, the planning system required a protected species survey to be conducted at all rural development sites. Once completed, a survey report detailing mitigation and enhancement measures for protected species was submitted with the application. These measures were then made part of the consent, thereby ensuring the welfare of the species involved. Although some sites were still lost due to failures in the system, many others were converted successfully and still have Barn Owls in their roof spaces to this day. Recent planning system changes in England, however, now mean that agricultural buildings outside National Parks, AONBs, SSSIs and scheduled ancient monuments can be converted through a process known as Prior Notification. 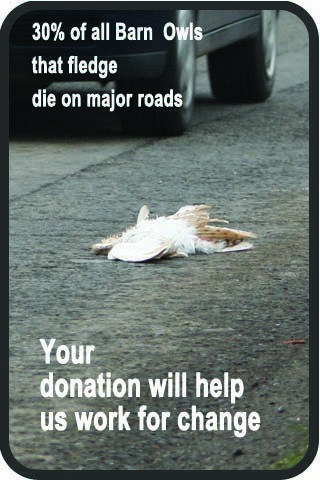 This does not necessarily require a wildlife survey, and no mitigation and enhancement measures appear to be necessary. The system is based on the misconception that wildlife legislation affords the birds sufficient protection. In reality, Barn Owl nest sites have no legal protection outside the breeding season. Use of the Prior Notification system for barn conversions is certain to result in the loss of more Barn Owl sites in the future. Read our article on prior notification and permitted development from the Spring 2015 edition of Conservation Planner. Planning applications are still required in protected areas, however. These should be submitted with a wildlife survey detailing the results of the survey and recommendations for protection, mitigation and enhancement. We have published Barn Owls and Rural Planning Applications – a guide 2015 with the support of Natural England to help all those involved in the process to get the right result. What should happen when a Barn Owl site is due to be lost through conversion? Check to see if an ecological survey of the site/area has been carried out. If there isn’t one, ask the planning authority why. On the local planning authority’s website, find and read the report. It may be entitled ‘Ecological Survey Report’, ‘Biodiversity Assessment’, ‘Protected Species Survey’, ‘Wildlife Survey’, ‘Environmental Statement’, ‘Bat and Barn Owl Survey’ or similar (names vary). A good survey by a suitably qualified person. A good report containing all appropriate recommendations, in line with the NPPF (2018) and the NERC Act (2006). A report specifying that wildlife must be protected, any impact of nest/roost site loss mitigated, and wildlife interest enhanced. 1. Maintain continuity of occupation by creating alternative provision at least 30 days before development begins. 2. Maintain the legality of the development by carrying out development works outside of the breeding season. 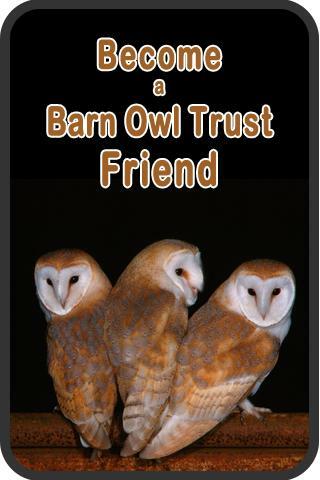 Remember, Barn Owls are protected by law against disturbance whilst nesting. 3. Establish permanence by creating a permanent accessible nest/roost site space within (i.e. inside) the finished development. 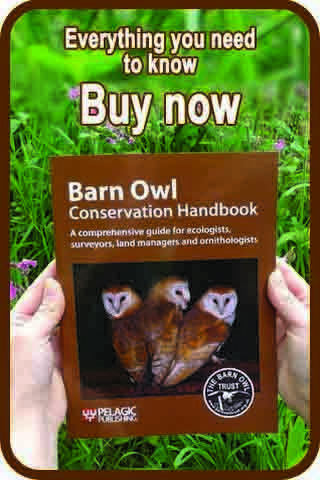 For those with a professional interest in Barn Owls and planning, full details of mitigation and enhancement measures for Barn Owls during barn conversions can be found in Barn Owls and Rural Planning Applications – a guide 2015. Both basic and advanced training are also available. Barn Owl foraging habitat has no statutory protection at any time (other than by virtue of the presence of other more highly protected species of fauna or flora). Nevertheless, we recommend that the loss of foraging habitat is mitigated by the creation and subsequent management of alternative areas of habitat. See: How to manage land for Barn Owls. Barn Owl nest spaces within building projects – how to create permanent provision for Barn Owls. Barn Owls and the law – make sure you stay within the law when checking or developing sites. Our training courses for Ecologists and Planners. Did you know? Barn Owls have declined by at least 70% and all of the causes of this decline are man-made. 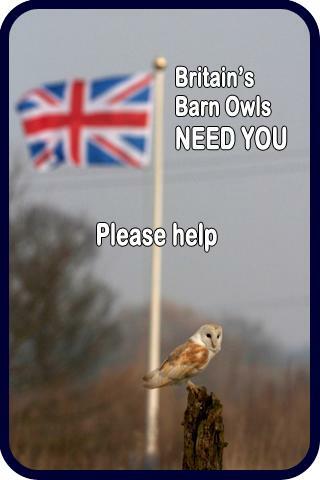 Find out how to encourage wild Barn Owls.